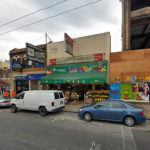 In 2008, the owner re-filed for permission to build an 8-story building with 37 residential units over 2,700 square feet of retail and 8 below-grade parking spaces, a plan which the Planning Commission approved back in 2009. 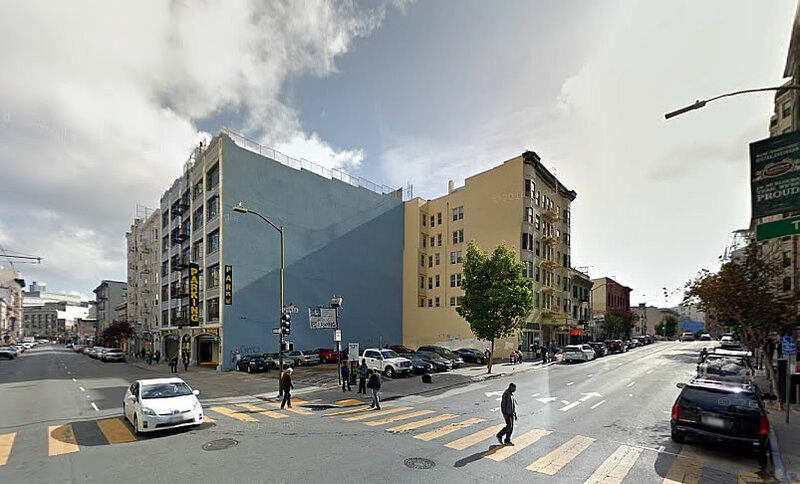 Waylaid by the Great Recession, the entitled, but still undeveloped, site was sold for $2.2 million in 2013 and then flipped to the development team behind the 950-974 Market Street project for $4.0 million in 2016. 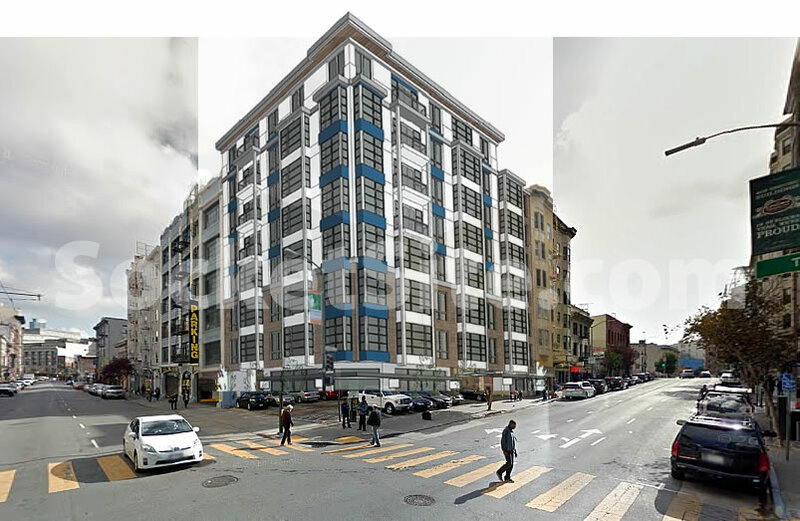 In 2017, the City agreed to accept a deeding of the 180 Jones Street site, along with a site specific payment of $13.95 million, to the Mayor’s Office of Housing and Community Development in lieu of the aforementioned 950-974 Market Street project, which has since broken ground, having to include any below market rate (BMR) units on-site. And the Mayor’s Office of Housing and Community Development is now seeking a qualified team to develop a minimum of 60 efficiency units upon the Jones Street site, with expectations that at least half of the BMR units would be made available to extremely low-income individuals along with the potential for on-site support services for formerly homeless individuals and a plan to finance the project by way of Low-Income Housing Tax Credits. Responses to the City’s RFQ are due on the April 17 and the City is aiming to award the project in mid-June. Too much concentration of poverty is why the Tenderloin and mid-Market have so many problems. The city should swap it out: do an extremely low income and formerly homeless housing development in Noe Valley or the Sunset and build moderate-income affordable here. Lack of actual law enforcement is the real problem. The [junkies] are allowed to do as they please and the TL is the result. The Tenderloin isn’t lawless, it just has lot of very deep issues. When you have such an extreme concentration of poverty, drug use, and mental illness more policing will just make it a more chaotic place. Heavy handed policing would just put people on edge and make it a more dangerous neighborhood. If you want to fix the Tenderloin you have to address the underlying causes of all of the suffering that drives its problems. I disagree. For example, TL is home to many recovering addicts. How is not cracking down on open air drug dealing and using in front of their residence helping them stay sober? The TL is also home to many impoverished families. How is letting open air drug using and dealing in front (and IN!) the parks and playgrounds their kids use helping them grow? Strongly disagree! Walking through the Tenderloin after 10 PM you’ll run into all kinds of junkies and drunks openly drinking and shooting up within spitting distance of the BART station, and not a police officer in sight. These people are polluting the neighborhood’s atmosphere and environment in all kinds of ways. Can you imagine this happening in a high-rent neighborhood in New York, or in a nice place in any other country in the world? It’s a travesty for a city that aspires to global status. More policing wouldn’t make it more chaotic — it’s already chaos. If the cops actually showed some presence and arrested some people maybe the rest wouldn’t be “partying” every night on the streets. Today’s anything goes atmosphere is a total negative incentive for people to pull themselves together and get straight. Addressing underlying problems is great and all but every carrot needs to be accompanied by a stick or the issue will never be resolved. I agree. The social burden should be spread. It does the ‘loin no good to have people with problems in high concentration. The Sunset and Noe can take it better. Amen. There are amazing examples of low income and supportive housing throughout the city but it would take bold leadership to rethink what is a big and extremely concentrated social service neighborhood. Only do new middle income and market rate for next 25 years and require ALL hoods to carry new projects. It’s better for the residents of these projects and for all neighborhoods. When did load bearing F-150s become a thing? Of course an extended cab would require cantilevering. I’m liking this new thing of just levitating buildings above existing parking, but do you have to climb the hood of that truck to get into your house? Kind of an accessibility fail. Affordable housing = delusive contentment. To the comments regarding the location of more affordable/supportive housing the TL, I see both sides of the argument, and I’d just point out that the reason this housing is being located here is because of the city requirement that if a market-rate developer wants to satisfy their BMR requirement with off-site units, those units need to be within a mile (half mile?) of the property. It seems to me that in this case Group I snatched up 180 Jones to meet this partially meet this requirement (and clearly only partially because they were required to pay an in-lieu fee in addition to the land dedication). My understanding is that the intention behind the “radius requirement” is to not have expensive homes in one part of town and affordable in another (or said another way, to avoid the concentration of poverty). I’m not taking a position on that policy, or the irony in this case. Well, maybe a small position on the irony 🙂 .